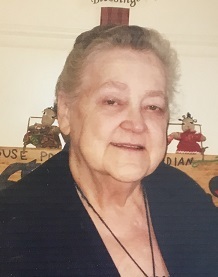 DeAnna "Dee" (Culler) Robbins passed away and joined her Lord and Savior on Tuesday, April 2nd, 2019 following a short illness. Dee was born July 18, 1943 in Nevada, MO to Jack Vandenburg and Gertrude Israel. She grew up in the Nevada, MO and Abilene, KS areas and lived in Colorado and Tennessee. She worked for Nevada City Hospital (NRMC), and owned and operated numerous businesses in Nevada, MO such as Sparkle Cab Company, and independently raised five children. Until her death she had an online Gospel group, sharing the word of God to all those who would listen. She is survived by her five children: Bob and Robin Benn, Trudy and Donnie Burr (Ray), Gayelynn and Allen Davidson, Chuck Steele Jr, Frederick (Rick) Culler; her grandchildren: Robert and Erin, Mason, Weston, Tyler and Haley, Troy, Kati and Scott, Trisi and Jesse, Kaci and Dylan, Cory and Kelci, Chuckie and Sabrina, Jake and Audrey, Brianna, Mellissa, Alex, and Gabe; her great-grandchildren: Shane, Kira, Bo, Annabelle, Amelia, Azelia, Addison, Avalin, Paisley, and Devin; sister, Willie Forrester and husband Gary; brother, Jack Vandenburg and wife Mary; numerous aunts, uncles, cousins, nieces, and nephews. She was preceded in death by her parents, one brother, William Israel Jr, several great-grandchildren, and great-great nephews. Dee continued her legacy by donating to Midwest Transplant Network. 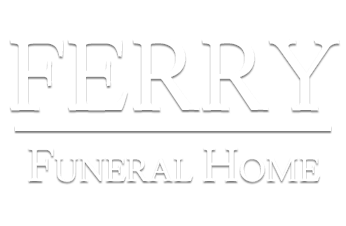 A memorial service will be held in her honor at Anchor Fellowship Church at 621 S. Pine St. Nevada, MO on Sunday April 7th, 2019 at 2pm with Pastor Oscar Garza and Pastor Tom Haynes officiating.